1. What is Genting Tickets? You can trust us to deliver a great experience, from start to finish. Welcome to Genting Tickets, a new ticketing service from Genting UK. Genting UK are the new sponsors of the Arena at the NEC Birmingham. Getting tickets to events couldn’t be easier. We've got together with one of the UK's biggest ticket agencies, The Ticket Factory, to provide you with easy access to tickets for many top events and gigs across the UK. We’ve got exclusive offers and tickets to music, comedy, sports & theatre events across the UK. Genting UK is part of the Genting Group. As one of Malaysia’s largest and most respected corporations the Group has some 4,500 hectares of prime resorts land in its portfolio and employs nearly 60,000 people across the world. Leaders in the global leisure and entertainment market, Genting has grown into a truly international business with interests and the Resorts World brand around the world. With over 40 casinos in the UK stretching from Edinburgh to Plymouth, and one more coming to Resorts World Birmingham this year, you might know Genting for their gaming offer. With all round leisure and entertainment at their heart, Genting’s Resorts World brand continues to bring cities the world over a unique mix of entertainment. Providing retail, cinema, food and drink, and gaming all under one roof. Now we’re bringing this same premium leisure experience to Europe for the very first time at Resorts World Birmingham located adjacent to the Genting Arena, at the NEC, it’s the perfect place to do more, before or after a show. Formerly the LG Arena, a new partnership with the NEC sees a new era for the Arena. Bringing together an exciting combination of entertainment know-how and expertise in the global leisure market, the partnership is set to secure our reputation as one of the world’s top entertainment venues. With you, the customer, at the heart of everything we do we strive to get you closer to the action bring you the very best artists, acts and events right here in the heart of the UK. 4. Can anyone buy tickets from Genting Tickets? Anyone can buy from Genting Tickets, provided that they have a credit or debit card to place an order. 5. Who are the tickets sold through? Tickets purchased via GentingTickets.co.uk are managed by The Ticket Factory on our behalf. Should you have any questions regarding your purchase, please refer to The Ticket Factory’s help page. You can also contact The Ticket Factory by emailing [email protected] or calling 0844 581 0785. 6. How are ticket prices set? We sell tickets on behalf of our clients (event organisers / promoters / venues). The price of a ticket is decided by our clients. The Ticket Factory sends this amount to its clients. The admin fee is charged per order regardless of the number of tickets purchased. This fee contributes to the cost of delivering the tickets, whether it is through the post, electronically or collecting at the venue. The admin fee also contributes to other operational costs and overheads associated with ticket fulfilment e.g. ticket stock administration and inventory control, ticket stock/stationery, collection facilities and postage and/or packaging costs if it applies to the event. The admin fee will not be payable if a ticket is purchased and collected at the box office at the same time. 7. What fees do I have to pay to purchase a ticket on your website? You will have to pay the service fee on each ticket purchased and the admin fee on the entire order (regardless of the number of tickets purchased). If you are buying a ticket for Barclaycard Arena, formerly the NIA or Genting Arena, formerly LG Arena you will also pay a 70p facilities fee per ticket. 8. Why do you charge service fees? In order to facilitate the processing of bookings, ticket agents charge a per ticket fee for the services they provide to contribute towards the costs of selling and distributing tickets such as the costs of running the ticketing software and computer network, operating call centre and marketing the event. The amount charged is agreed with the Promoter / Event Organiser / Venue. This per ticket fee is often based on a percentage of the ticket price. At The Ticket Factory we refer to this as an service fee. 9. What is the admin fee for? We charge a admin fee to contribute towards the cost of delivering our tickets to you, whether it is through the post, electronically or collecting at the venue. This fee is a one-off charge that covers the processing and delivery of the entire order, not each ticket. The admin fee is charged to help contribute towards other operational costs and overheads associated with ticket fulfilment e.g. ticket stock administration and inventory control, ticket stock/stationery, collection facilities and postage and/or packaging costs if it applies to the event. 10. What is the facilities fee for? The facilities fee is a permanent feature of the ticket prices for Genting Arena, formerly LG Arena and Barclaycard Arena, formerly the NIA events to ensure that both venues offer superb facilities, attract world class artists and provide customers with fantastic experiences. The introduction of a levy is commonplace across the ‘live’ industry; for example, the renovation charge applied by many theatres or the charge applied by the 02 Arena, London, which is known as a ‘facilities fee’. 11. Can I book tickets in person? Barclaycard Arena, formerly the NIA Box Office is open on event days only. The Genting Arena, formerly LG Arena Box Office at The NEC is open Friday and Saturday from 12noon – 5pm and occasionally on Genting Arena, formerly LG Arena concert releases. Opening hours are subject to change at short notice. To confirm our opening times before travelling to Genting Arena, formerly LG Arena or Barclaycard Arena, formerly the NIA to purchase tickets please call 0844 581 1311 for up to date information. 12. If I purchase in person at the Genting Arena, formerly LG Arena or Barclaycard Arena, formerly the NIA box office can I avoid paying fees? 13. Why was I able to avoid paying fees when calling in person to pay cash and now I am being charged fees? As a ticket agent we incur costs to run our business no matter how we sell or deliver our tickets to customers. In the past we have not charged a fee to customers who have paid in cash from our box office. Unfortunately we can no longer sustain this practise so in the course of amending our charging mechanisms we have made the difficult decision to charge the relevant service fee and admin fee to customers who pay cash at a box office. 14. What payment cards can I use to buy tickets? We currently accept American Express, Visa, MasterCard, Visa Delta and Solo for online bookings. Sorry, we are unable to accept Maestro online - please use an alternative card or call 0844 581 0742. We are also unable to accept Barclaycard Commercial credit cards. The Ticket Factory is a secure web site and all patron details are submitted over the internet using the highest level of commercial encryption currently available (128-bit SSL). 16. What if the secure page does not appear to be secure? Occasionally The Ticket Factory pages are used by other web sites (as requested by our show promoters) - our pages are sometimes placed within another web page belonging to another web site using a HTML frame - a web page placed inside another web page, that makes it seem as if you are booking via one web site. If The Ticket Factory secure pages are placed inside a page that does not use SSL our secure pages may not appear to be secure - your browser window will only show the properties of the outer non-SSL page and not the inner secure page from The Ticket Factory. However, this kind of web page set up is not uncommon and will not affect pages that use SSL encryption - the two pages do not interfere with each other and no data is transfered via the insecure page, all data is transfered via The Ticket Factory secure page. The Ticket Factory pages begin www.ticketfactory.com - if your browser shows any other URL (address or location) you are probably accessing our pages via another web site. If you have any queries please contact Technical Support . 17. What is my Card Security Code? The Ticket Factory uses the card security code (also known as CSC) for Visa, MasterCard, Solo and American Express in order to improve transaction security. This is sent to the bank at the time of card authorisation together with your card number, expiry date and issue number (for Solo cards). Your CSC is known only to your bank and appears only on your card. It is not printed anywhere else e.g. does not appear on bank statements. 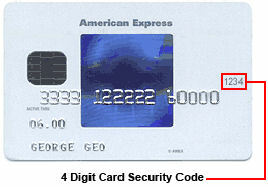 The American Express security code is a four-digit number printed on the front of your card. It appears after and to the right of your card number. 18. What is Ticket Protection? Ticket Protection allows you to make a worry free ticket purchase, by giving you peace of mind that you can re-coup 100% of the paid ticket price (including fullfilment fees) if you are unable to make it to your event. From traffic delays, illness, adverse weather conditions, strikes, accidents and more we will make it easy for you to file your claim and get your money back. Any refund will be managed by Hyperion Claims Specialists, on behalf of The Ticket Factory. 19. How much does Ticket Protection cost? Ticket Protection will cost £2.25 per ticket, whatever the original ticket price. If food or drink is included within your ticket purchase, ie Freestyle package or other hospitality packages, this will also be covered by your Ticket Protection. Any additional items you may purchase along with your ticket, such as merchandise, M6 Toll, car parking etc. will not be covered. 20. What situations does Ticket Protection cover me for? If an event is cancelled, the promoter or the organiser will refund the total value of your order. You do not need to make a claim via Ticket Protection in this case. If an event is rescheduled, original tickets will usually remain valid for the new date and Ticket Protection will continue. If you are unable to attend the new date, the promoter or organiser of the event will usually allow a full refund to be given. 21. How do I buy Ticket Protection? Ticket Protection will only be available to buy online at the time of your original purchase, however for disabled access and group bookers it will be available to buy over the phone. Ticket Protection is sold per ticket, therefore you must select the correct number of tickets that you wish to be covered in your order. PLEASE NOTE: If you choose to buy Ticket Protection for fewer tickets than your total order, then the value of any claim will be reduced proportionally. For example - if you buy 4 tickets but only select Ticket Protection for 3 tickets, you will only be eligible to claim for 75% of the total order value. 22. Can I add Ticket Protection at a later date? Unfortunately not, you can only buy Ticket Protection when you first place your original order. 23. What if I select the wrong amount of Ticket Protection? If you accidently choose to select Ticket Protection for fewer tickets than you wanted to buy, unfortunately we are unable to add extra to your order. If you accidently choose to buy Ticket Protection for more tickets than you purchase, we can refund the difference if you contact our Customer Services team via [email protected] or call 0844 581 0777, lines are open 7 days a week from 9am to 9pm. 24. How do I make a Ticket Protection claim? You have to make a claim within 14 days of the situation occurring that leads to you being unable to attend the event. To make a claim visit: www.securemybooking.com/ttf follow the link to apply for a refund, you will be asked to complete a form outlining the reasons you are unable to attend the event. You will be required to send your unused tickets or proof of purchase / original receipt within 7 days of making your claim. 25. Can I claim against out of pocket expenses, ie travel and hotel costs? Unfortunately not, Ticket Protection only covers the value of the tickets, including any food and drink package purchased at the same time and fulfilments fees for the event that you chose to cover. Although tickets are usually posted out within 7-14 days of purchase, there are occasionally delays due to exceptional circumstances such as special "souvenir" ticket stock, show-specific ticket wallets or on the direct instructions from the promoter/organiser of the event. If you have not received your tickets within 5 days of the event, please call our Customer Services team on 0844 581 0777. 27. Can my tickets be sent to a different postal address than my billing address? 28. Can my tickets be posted abroad? 29. Can I collect my tickets? Yes, when purchasing tickets over the telephone, please inform our sales advisor before booking if you wish to collect your tickets. Usually for bookings made 3 or less days in advance of a concert/event, tickets will automatically be held for collection at the venue box office. If you wish to collect your tickets before the day of the concert/event, or if you have already booked and now want to collect your tickets instead of having them posted please contact Customer Services . PLEASE NOTE: Customer Services usually require 48 hours notice to arrange collection of tickets and that Standing Tickets can ONLY be collected from the show Venue Box Office, after 4pm on the day of the show. PLEASE NOTE: Tickets for evening concerts and events will be available for collection from 1 hour 30 minutes prior to the show start time. 30. Can I collect my tickets if I don’t have the card I paid with? 31. What is a Print at Home ticket? No more waiting for tickets by post! Have your tickets right away! No waiting in box office collection queues! An Print at Home means your tickets will be sent to you by email directly after you have completed your booking. You simply print the tickets yourself at your convenience before the event, in black and white or colour, then bring them with you to the event. You can even forward them on to other people attending the event so that they can print their own tickets and meet you at the venue. The advantage is that you get your tickets right away, safely and conveniently, without waiting for them to be delivered by post. Follow this link for an example of a Print at Home ticket. 32. How does a Print at Home ticket work? 33. What if I print more than one copy of my ticket or a photocopy is made? Only the first scan of the barcode on your Print at Home ticket will be allowed entry. Make sure you keep it in a safe place like any other ticket! If more than one copy were to arrive, the barcode scanner will alert the steward that the eticket has already been scanned. If there is a dispute, the purchaser's name appears on each Print at Home ticket. 34. If I order multiple tickets to the same event, how many emails will I get? You will receive one confirmation email with a PDF attachment containing all etickets purchased for that order. The PDF file will have multiple pages with one Print at Home ticket per page. Please note that if you place an additional order for more etickets to the same event, you will receive another email. 35. How do I print my Print at Home ticket? 36. What if I don't receive my Print at Home ticket? 37. What if the event is cancelled or postponed? In the event of a concert/event being postponed or cancelled, refunds can be obtained by returning your tickets to the original point of purchase. We recommend that you return your tickets by Registered Post to ensure delivery. For postponed concerts/events your tickets will remain valid and you will be notified of the new dates. If you are unable to attend the new date follow the above procedure to obtain a refund. 38. What should I do if my tickets are lost or stolen? Customer Services will only accept enquiries from the Card Holder and will require full name, address and card details. PLEASE NOTE : Standing Tickets can NOT be replaced or duplicated under any circumstances. 39. How can I find out where I’ll be sitting? The Ticket Factory does not send out seating plans as seating varies for each individual concert and the seating layout can be subject to change before the concert takes place. If you would like to view the seating plan for the show you wish to book tickets for, there is a plan displayed on The Ticket Factory website for each Individual show. 40. Where can I park? Car parking is available depending on the venue. Please check with the venue direct for details. 41. Can I take pictures or record at an event? PLEASE NOTE :The promoters of the concert or event will inform the venue of their policy regarding the admission of cameras to their shows. It should not be assumed that any camera will be admitted, as their policy may change at short notice, and without prior notification, at the artists request. 42. How can I buy tickets for disabled visitors? All disabled visitors are advised to call our dedicated ticket line number 0844 581 0700 (+44 121 782 3555 from outside the UK) when booking tickets. Please inform us at the time of booking if you need a wheelchair space or have specific requirements, so that we can arrange for everything to be ready on your arrival. We will also help you find the most convenient seating for visually impaired people. Owing to sound levels involved, we strongly recommend that you do not bring Assistance Dogs to concerts or other loud events. Please note that all ticket sales are allocated on a first-come-first-served basis. Open 8am to 10pm, 7 days a week. The Ticket Factory is a member of the "Employers Forum on Disability", and has signed up to the Disability Access Charter. An in-house committee meets regularly to address services for disabled visitors, and regular audits of our building are undertaken in respect of access. Venue information To find accessibility information for disabled visitors please contact the venue direct. 43. How do I find out what tickets are available? If you wish to be added to our free e-mailing list, to receive updates about our forthcoming events on a regular basis, please go to our Newsletter Sign Up page. Availability of tickets can be checked on The Ticket Factory at www.theticketfactory.com. We do not keep waiting lists for sold out concerts/events. If there are any tickets returned or extra tickets made available they will be for sale on a first come first served basis by the above methods. You can also check the local/national radio and press for announcements of new ticket releases. 44. How do I change my account password? Call Customer Services on 0844 581 0777 and one of our team will be happy to help. 45. Are there any age restrictions? For Genting Arena, formerly LG Arena & Barclaycard Arena, formerly the NIA Concerts : Children aged 14 and under must be accompanied by an adult of 18 or older. For standing shows, our recommendation is that children under the age of 14 should not purchase standing tickets and enter the standing floor area, and any children aged 15 or 16 can enter the standing floor area but should be accompanied by an adult over the age of 18.